This shoot was an absolutely amazing experience! It was the first shoot I had the opportunity to capture back at my alma mater, where I truly was able to develop as a creative. I met Shaina and Yash through another creative in the industry that specializes in make-up, Beauty By Palak. We all instantly clicked and I spent the next two hours with Shaina and Yash having a blast at Lake Wauberg! 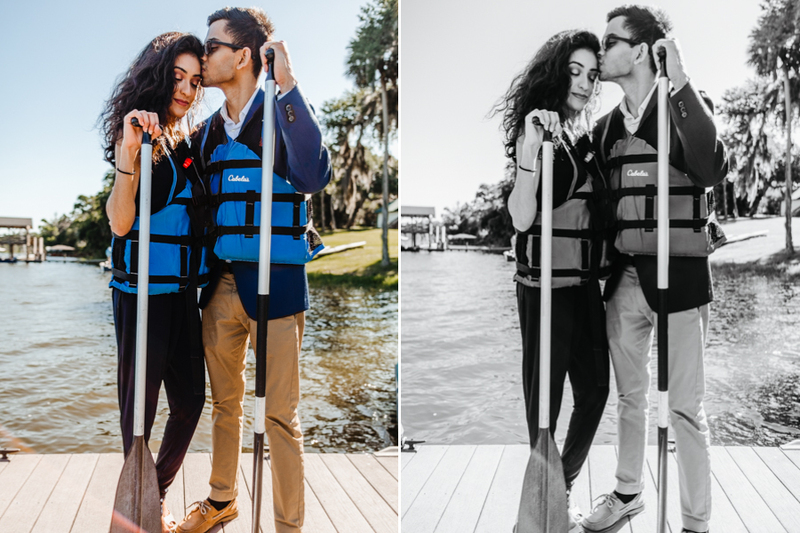 Shaina and Yash started dating during their sophmore year at UF. They had been mutual friends beforehand, but it wasn't until after a night out at Grog, a local saloon, that they actually saw each other as more than that. Shaina says that what she loves most about Yash is his ability to stay calm, cool, and collected in even the utmost of stressful situations. Yash loves Shaina's bubbly personality and her ability to make anyone feel included in social situations. They love going to the cinema and trying out new deserts. Their future plans are to finish school and move out to Hawaii, where they can adopt a litter of puppies.